Creation of viral videos is not an easy task. It requires great efforts to make the video as a viral hit. Most of the viral videos contain emotional content which grabs the attention of the audience towards the video and makes the video shareable on the platform. 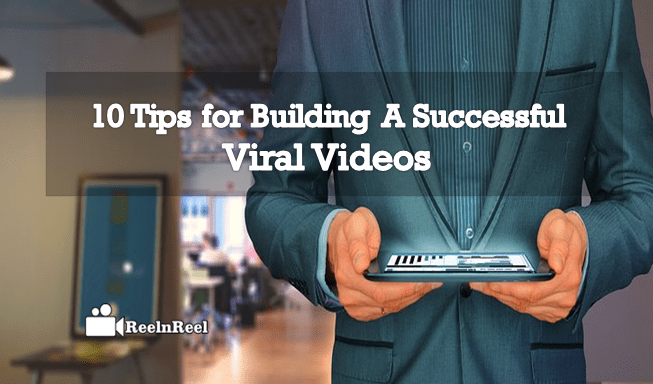 Here are some ten tips that are helpful to create viral videos. Short form videos are more shareable than long-form video content. So, make your video content short and sweet to your audience across the web. Create videos with interesting content which make the audience to share immediately. 78 percent viral videos are containing emotional content that drives the audience towards sharing. So, make your content with emotional touch which helps you to create a better viral video. Add the best music that fits your requirements for the video content. Music will definitely play a key role to build good viral video. Shoot a good prank video and upload to your channel. Make sure it didn’t contain any abusive picturization or any other content. People generally like to know the reference things that they already love to see. It provides the people with a good sense of belonging to their favorites. Go with reaction videos which can be very sweet and interesting to the audience and increase your chances to urn your video as a viral hit. Monday and Tuesday’s are the best days to upload if you are using YouTube platform as your medium. Title is very important and it must rise the curiosity in the viewers. Make attractive and interesting thumbnail as it is the first impression to your viewer. So, keep it relevant in interesting to your audience as it can become an important factor to turn your video into a viral hit. Therefore you can build best viral video by following the above tips.